Dining at the Wentworth - Jackson NH and Mt. Washington Valley Area Information. Pumpkin People, Tradionally Yours Events, Lodging specials, Dining and Ski Area Info. Farm to Table Dining in an elegant country inn. 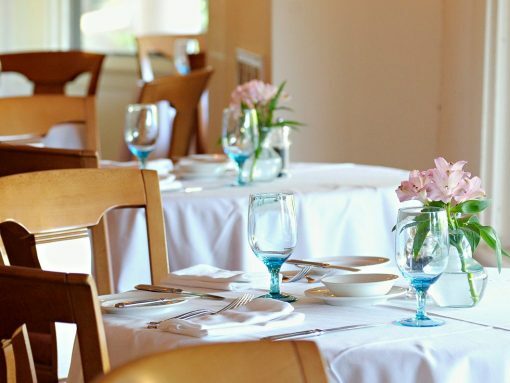 For an authentic New Hampshire dining experience, look no further than The Wentworth Inn. Perfect for a romantic dinner a deux or a hearty post slopes meal, there’s something for everyone at our farm-to-table restaurant specializing in locally sourced fare. Chef Brian Gazda and his team create an ever changing menu and gluten free and vegetarian options are always available. Reservations recommended.